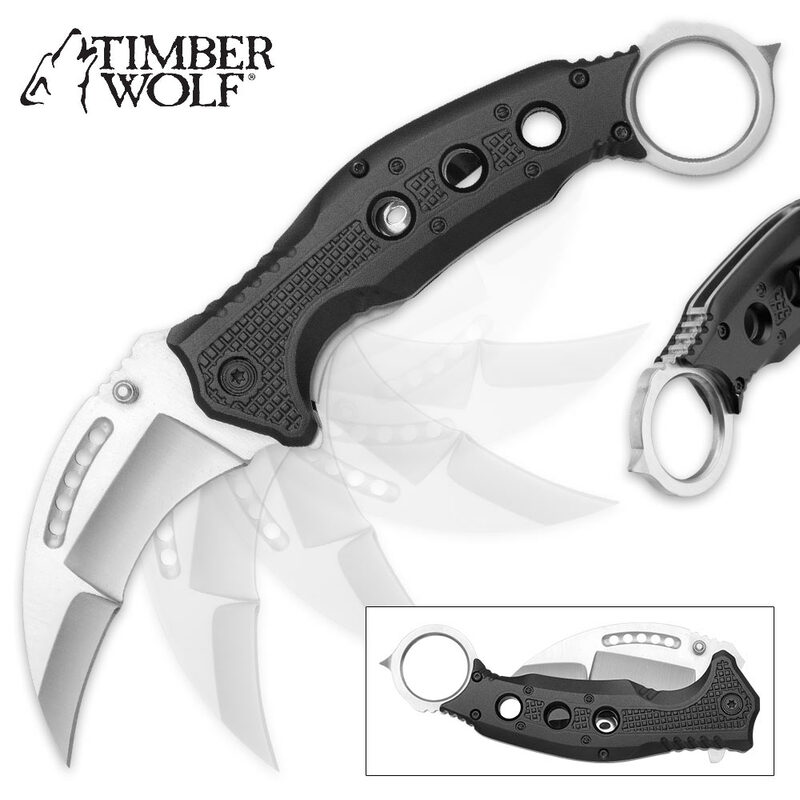 The Black Karambit Pocket Knife from Timber Wolf gives you the best of both worlds! 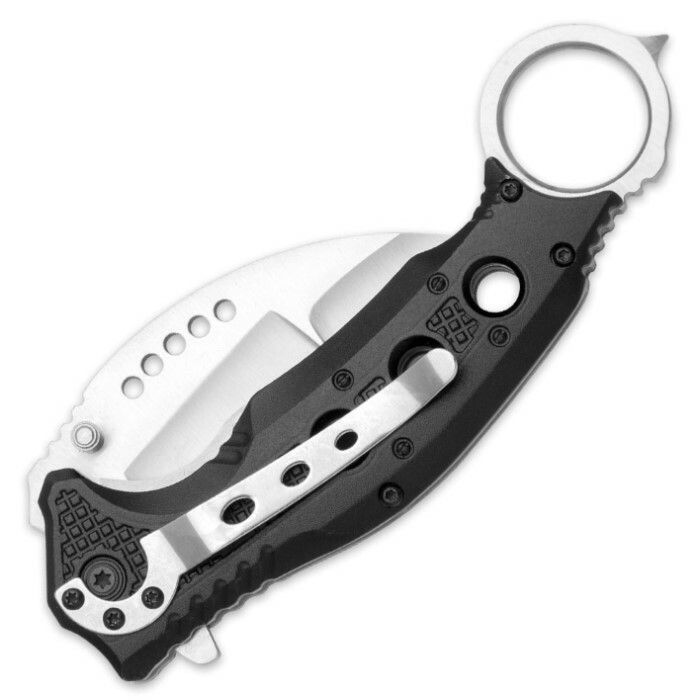 You have the convenience of carry of a traditional pocket knife with the awesome utility of a karambit blade. 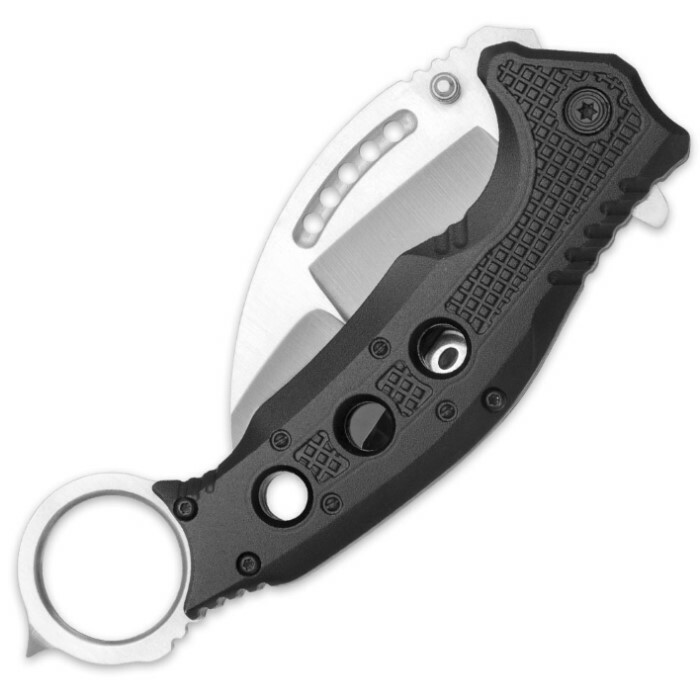 The 3” 3Cr13 stainless steel blade has a satin finish and can be accessed quickly with a spring-assisted opening. The black handle is aluminum and has a slip-free grip and thumb-ring. It’s easy to just clip to your pocket or gear with the stainless steel pocket clip.